I am a composer and a passionate teacher of creative music technology. I teach undergraduate modules in music technology and composition. Within these modules we explore different aspects of technology such as recording, sound design and composition discovering new ways of listening and generating musical ideas. Students can then take these skills forward and apply them to their own creative projects. I am originally from Ireland and studied music at the Universities of Cork and Limerick. During my Masters in Music Technology in Limerick I discovered Electroacoustic Music. The fact that I could use any sound in the world to make music blew my mind. Electroacoustic Music is about listening to sound as an object, sculpting and designing sound, sound analysis, sound in space (multi-channel, 3D sound, sound diffusion) and composition. The technology facilitates both the study of sound in detail and the creation of a new sonic experience for the listener. It is a constant voyage of discovery; recording new sounds, working with new software and using these materials to compose a new work. I completed a PhD in Electroacoustic Composition at the University of Manchester supervised by professor David Berezan. During this time my research explored soundscape composition, a form of Electroacoustic Music. My compositions explore the soundscape of particular places using recognisable field recordings. The aim of these works is to draw the listeners attention to sounds that are not always the focus of listening, sounds that sometimes get masked by noise pollution or lost within a complex soundscape. My compositional approach involves soundwalking, field recording, sound analysis, sound processing and spatialisation. 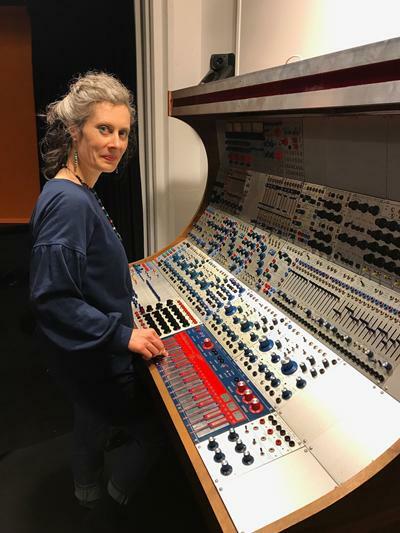 Most of my works are composed in 8-channel and performed in concert on a loudspeaker diffusion system such as BEAST (Birmingham Electroacoustic Sound Theatre) and MANTIS (Manchester Theatre in Sound) to create an immersive sonic experience. My music has been performed at international festivals and conferences such as EMS (New York), ACMC (Australia), ICMC (Australia), NYCEMF (New York), CMMR (São Paulo), ISSTA (Ireland), ZKM (Germany), BEAST (UK), Balance/Unbalance (UK), L’Espace Du Son, (Brussels)and MANTIS (UK).